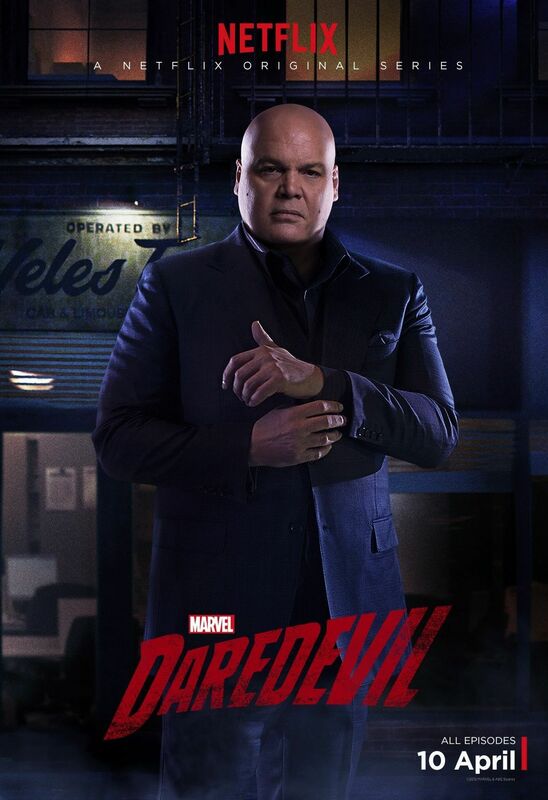 In contrast, arch nemesis of Netflix’s “Daredevil,” Wilson Fisk – a.k.a. The Kingpin – uncovers a rounded, composite villain. Much like Walter White of “Breaking Bad,” (2008-13) Fisk’s layered personality peels away, revealing motivation audiences sympathize with. Suddenly, evil is personalized – relevant, almost. Driven to resolve the broken foundation of Hell’s Kitchen, N.Y., Fisk and the iconic masked vigilante, Daredevil/Matt Murdock, both agree they want the best for their city. The journey to such a city, however, distinguishes them. With his hand in the media and justice system, the crime boss abuses his power to mold the Manhattan neighborhood – regardless of how many he has to cut down in order to achieve his dream city. Although unjustifiable, his actions reasonably stem from a fragmented childhood. Through sequences of flashbacks, we learn Fisk was once a damaged child. Before instinctively slaughtering his father for whipping his defenseless mother with a belt, audiences take in how his abusive father directly influenced the dejected mental reconstruction of Fisk. Troubled but vulnerable. Fisk falls in love with an art gallery curator, revealing a soft spot – a weakness. Wait. Fisk? In love? We’re talking about a man so sadistic, people kill themselves to avoid confrontation. Those under him tremble at the mention of his name. (Sensibly so, considering he decapitated a man by repeatedly slamming a car door into his face.) This same man timidly loves and would go to the ends of the earth to protect his love. This value creatively adds another dimension. I can hear them now. Philosophers arguing evil is evil – there is no relativity. That’s not the point. The argument I’m making is that Fisk is relatable. He isn’t simply a face associated with the archetypal idea of criminality. He grew up with a far-from-perfect childhood. He loves. He is a fallible human – like the rest of us. We understand his dark evolution. Again, although skewed, his misconduct is comprehensible and rooted in history, possibly making him the greatest villain since The Joker of “The Dark Knight” (2008). Christian Herrera is a junior journalism and communication studies double major. This review reflects the view of the writer only.